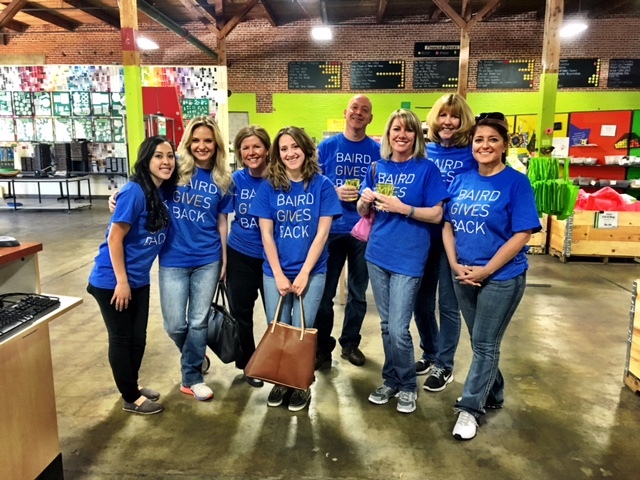 Baird has a long tradition of giving back to the communities we call home. 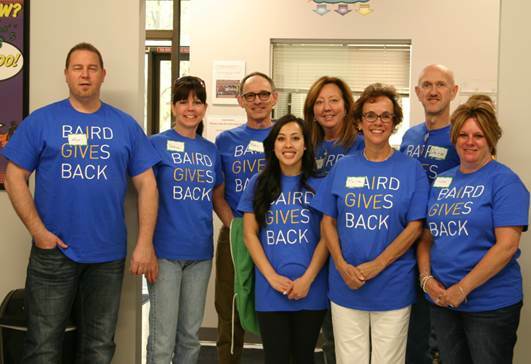 This genuine passion culminates each spring during Baird Gives Back Week, when associates in our offices across the country and around the world give generously of their time and talents. 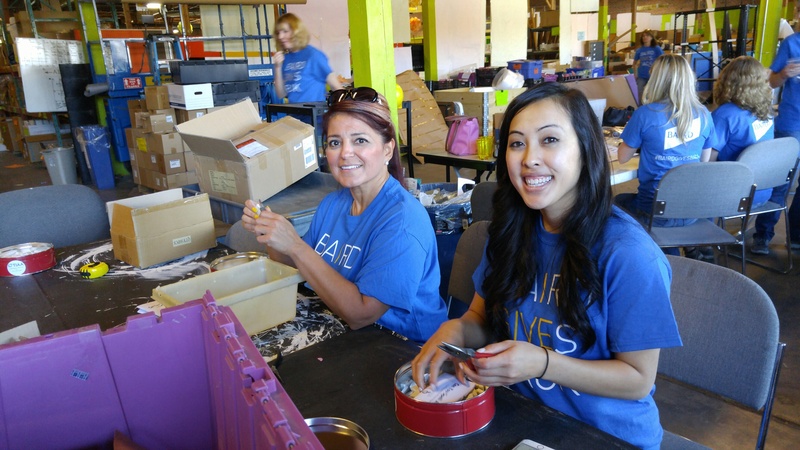 RAFT- Resource Area for Teaching: The Denver team built teaching kits that will be used by Denver Public Libraries. 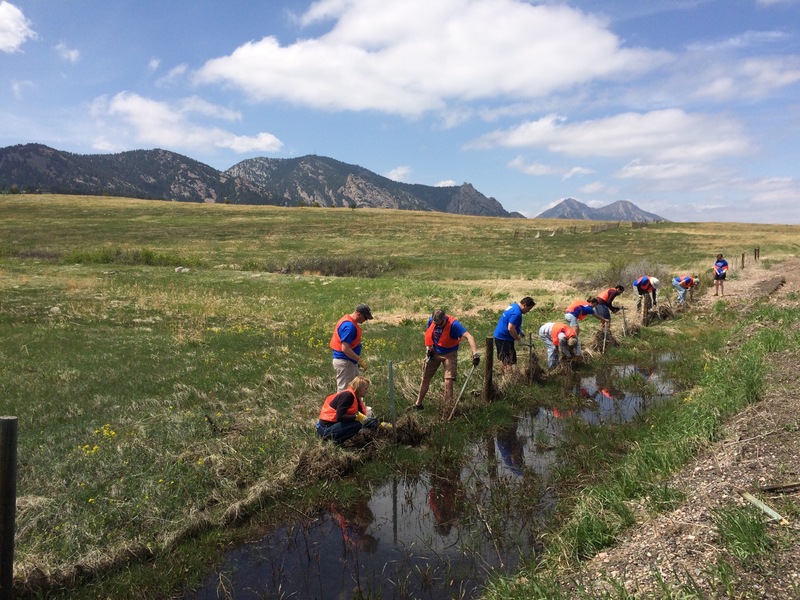 These kits contained solar panel-powered “jitterbugs,” which students assemble to get a hands-on lesson about sustainable energy and physics. 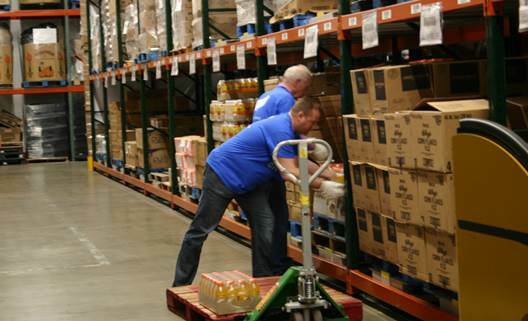 Food Bank of the Rockies: Baird volunteers spent an afternoon in the distribution center packaging 74,000 pounds of food for people in need. 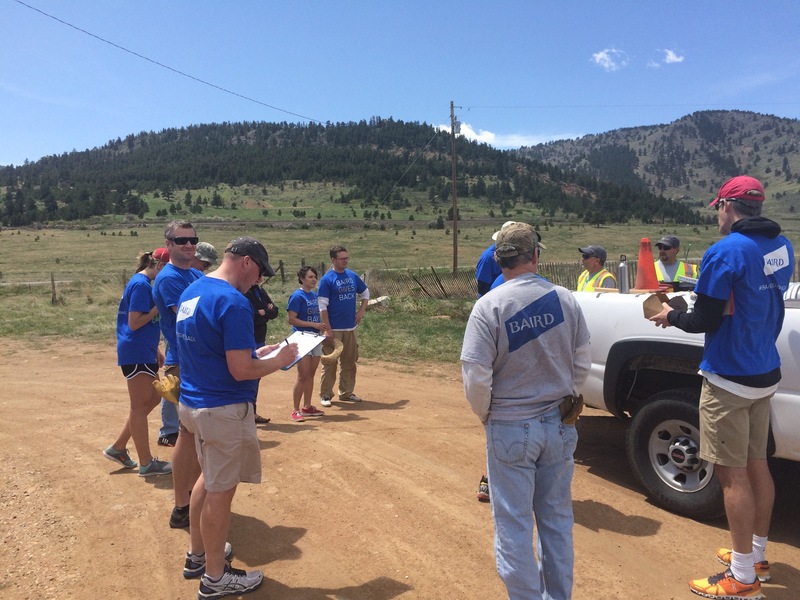 Jeffco Open Space: Baird associates put on their work gloves and grabbed shovels and tools to build a new fence.